Home Social Media Tatt Awards Globe Tattoo launched Tatt Awards to mark the World Social Media Day in the PH! Globe Tattoo launched Tatt Awards to mark the World Social Media Day in the PH! Powered by Globe Tattoo, the Tatt Awards were launched at the posh Opus Club in Resorts World Manila to coincide with the 2nd annual Social Media Day. Remember, that according to recent stats 95 percent of Filipinos online are actively engage in Social Media network, so, Philippines indeed to be called the social media capital of the world. Back to Tatt Awards, is being launched to give due recognition to the growing power and influence of this medium and to people who have used the digital space to inspire, spur change and make a difference. “Tattoo is about making your mark and your own personal definition of greatness. The Tatt Awards is our venue to recognize those individuals that through their passion and individuality have created a space that is truly theirs, but sincerely shared with others,” said Dong Ronquillo, head of Nomadic Broadband Business of Globe Telecom. 10. The Advocate, a person or a group of individuals who worked to improve the state of a societal cause in the Philippines through social media. Winners will receive P100,000 in cash and premium broadband products from Tattoo. Winners are decided by public voting and a panel of judges christened The Tatt Council. Join now! 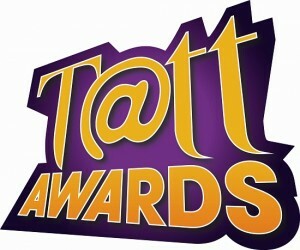 The online nominations will run until July 14, 2011 via the Tattoo portal http://tattoo.globe.com.ph/tattawards/ Finalists will be announced on August 10, at which point the online voting will begin and run until August 24. The Tatt Awards Night will be on August 27. So, bloggers, social media fanatics, techies, geeks and trendsetters it’s your time to shine!